Tis the season for gift wrapping and bow tying. If you are like me, anything other than a store bought bow leaves a lot to be desired. I just can't seem to tie a bow that doesn't look like a shoelace. Hopefully one of Lindsey's 4 secrets to tying a perfect bow will help me. 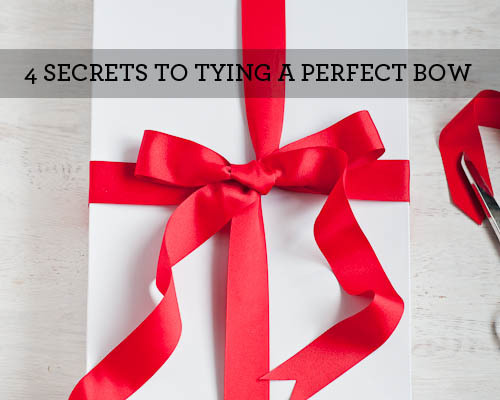 You can check out how to tie the perfect bow over at Design Mom.